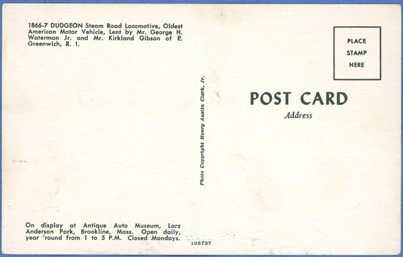 The Dudgeon Steam Wagon is now in storage at the Smithsonian Institution in Washington, D.C. 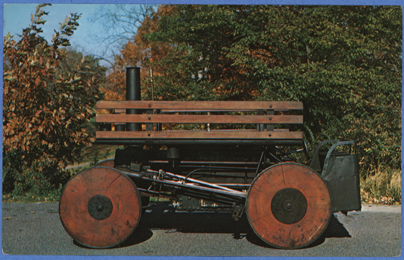 The Dudgeon Steam Wagon, or Steam Road Locomotive, was loaned at one time to the Lars Anderson Museum. 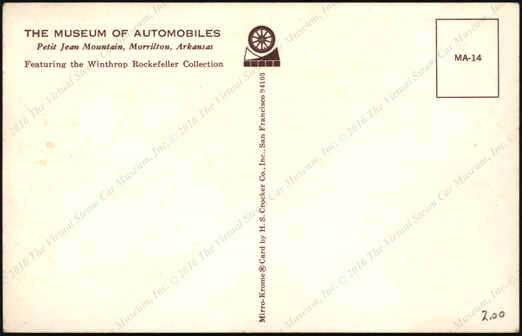 The Dudgeon Steam Wagon as seen on a postcard created by the Museum of Automobiles in Morrillton, AK, featuring the Winthrop Rockefeller Collection. 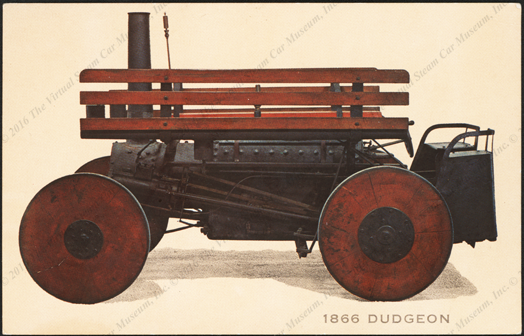 Contact us if you have additional information about the Dudgeon Steam Wagonr, or if you have questions.